Dad's Army autographed BBC FDC signed JAMES BECK x10 - Holy Grail item ! Without doubt THE holy grail for any Dad's Army fan. A genuine, full set of signatures for the original cast including the extremely rare, James Beck, who died young shortly after in 1973. 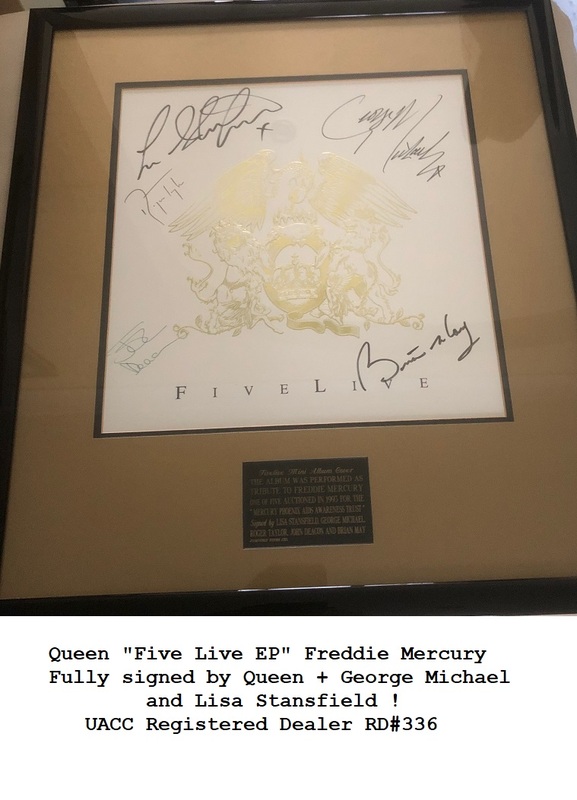 This kind of item will only come up for sale, once in a lifetime, and this is it ! 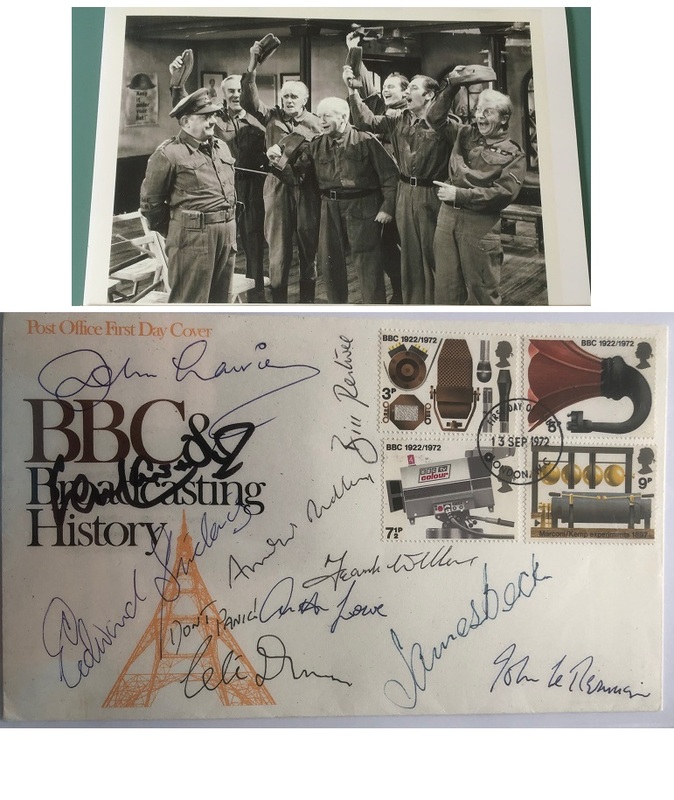 Also comes with the extra provenance of the autographs on a BBC First Day Cover for BBC / Marconi transmission anniversary - 13th September 1972. We cannot emphasise how rare this is to get all the main Dads Army cast on a single item. In excellent condition, with lovely clear signatures. Clive Dunn (Cpl Jones) even added his legendary catch phrase - "Dont Panic !" to his signature ! The ultimate conversation piece for the ultimate collector !!! Clive Dunn (Jones) - Adds "Dont Panic !"